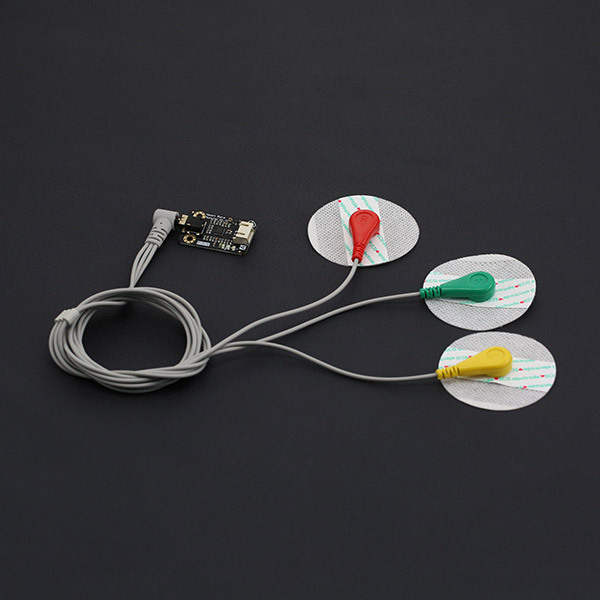 The Disposable ECG electrode is used for ECG or other biopotential measurements. It is composed of 12 adhesive electrodes, using nonwoven fabric material - a kind of breathable paper - cotton or PE and foam with medical hypoallergenic adhesive. This ECG electrode has a high viscosity, so it can adhere to your skin directly. The snap-on connector can be pushed on or removed from the electrode lead easily. It can be used as a spare part for the Arduino Analog Heart Rate (ECG) Monitor Sensor. For ECG electrode placement, please check the Heart Rate (ECG) sensor wiki page. 5. This product is valid for two years from the date of manufacture.